Apple unveils the iPhone 4S, and adds another carrier "Sprint"
Apple unveiled the "iPhone 4S" during a press event "Let's Talk iPhone" at its Cupertino, California headquarters. iPhone 4S will feature a retina display and dual-core processor that makes the phone twice as fast as its predecessor. It launches October 14 for AT&T, Verizon and Sprint, and starts at $199 for the 16 GB model. 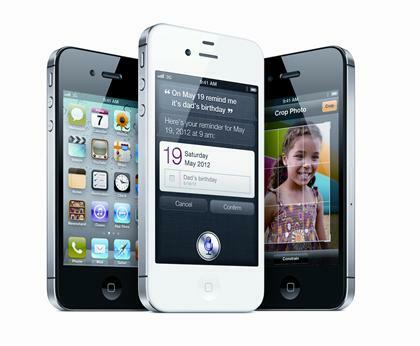 iPhone 4S was introduced by Apple CEO Tim Cook. All major Apple products were introduced by Apple Founder Steve Jobs. This is the first time, Apple product is getting released after Steve Jobs resigned from Apple due to his health problems. The important feature of "iPhone 4S" is "Siri", the intelligent assistant that helps you get things done. You can just ask "siri" to remind you something, or get any information or answer for any questions, such as "Will it be Sunny this weekend in Miami"? You can read more about "Siri" here.